This layer enables support for the pdf-tools package. 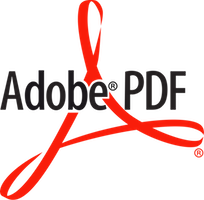 "PDF Tools is, among other things, a replacement of DocView for PDF files. The key difference is, that pages are not pre-rendered by e.g. ghostscript and stored in the file-system, but rather created on-demand and stored in memory." Linux is the only operating system officially supported, but it's possible to use pdf-tools on OS X as well, and possibly on other Unix flavors. You'll need to install a few libraries. Check the instructions on pdf-tools page. Note that compiling from source might not be necessary, as the documentation states. If you use a Debian based system such as Ubuntu, you can skip this step, as pdf-tools installation asks whether you want it to try to download automatically all dependencies using apt-get. After installing the dependencies, add this to your ~/.spacemacs. After that, syncronize your configuration with SPC f e R. This will pop up a window showing the compilation process. If everything goes right, the compilation won't display any error and you will be able to see PDFView (instead of DocView) on the spaceline after opening a pdf file. If the compilation run successfully but you get Error (use-package): pdf-tools :config: No executable `epdfinfo' found, try restarting Spacemacs (issue). If the compilation does not run successfully, you should confirm whether all dependencies are properly installed and run the command pdf-tools-install. Use SPC m . to activate the pdf-tools transient state. The keybindings that the transient displays can be also accessed using SPC m. The navigation keybindings can be used directly. Try out opening the outline (O). The outline window shows the structure of the pdf, displaying all headings. You can set annotations by selecting regions and right clicking on the buffer. Additionally, all annotation related functions can be accessed with SPC m a.
Searching with occur can be done by using pdf-occur (SPC m s s). You'll probably want to use pdf-view-set-slice-from-bounding-box (bound to SPC m s b) This command trims the blank parts of the lateral margins, making the useful portion larger. The last visited page is not saved across Emacs sessions. If you want save it, use the bookmarks commands on SPC j b to save and go to a bookmark. If you use Emacs editing style, check the key bindings at the pdf-tools page. For evil users: Note that the search keys activate isearch, which works differently from the default Evil search. To go to the next match, use C-s. Note that you can use also typical Vim keys such as j and G.